Africa is particularly vulnerable to the effects of climate change as much of its economy depends on a climate-sensitive natural resource base, including rain-fed subsistence agriculture. The United Nations secretary general, Ban Ki Moon said this during a meeting of African Ministerial Conference on the Environment (AMCEN) at the ongoing COP21 conference in Paris, France on Sunday. He was quick to add that this was an area of great opportunity for adaptation and mitigation. â€œSome of your (African) governments are already encouraging agricultural practices that are adapted to climate change and are reducing emissions,â€ he said. On the other hand, he added, the disruptions in food or water supplies pose serious risks, not only for African economies but also for political stability, particularly in fragile states. His remarks come as many countries in Southern Africa have been ravaged by droughts, and there already indications that countries like Zimbabwe face a possible drought during the 2015/16 farming season. The United Nations has since issued an urgent appeal for $86 million in food aid for Zimbabwe as the country’s devastating economic downturn has made food supplies unstable. Bishow Parajuli, U.N. resident coordinator in Zimbabwe, was recently quoted in the media as saying 1.5 million people in the southern African nation need food aid. Paula Vazquez Horyaans, EU ambassador to Zimbabwe, said that food insecurity there was aggravated by climate change’s effects. The looming El Nino weather system is expected to make matters worse. Climatic predictions by the Southern African Regional Climate Outlook Forum (SARCOF) of normal to below normal rainfall season clearly spell disaster for the Southern Africaâ€™s agricultural season. Countries in the southern parts of the region namely Zimbabwe, Botswana, Mozambique and South Africa should brace for a drought year unlike the regionâ€™s northern countries. 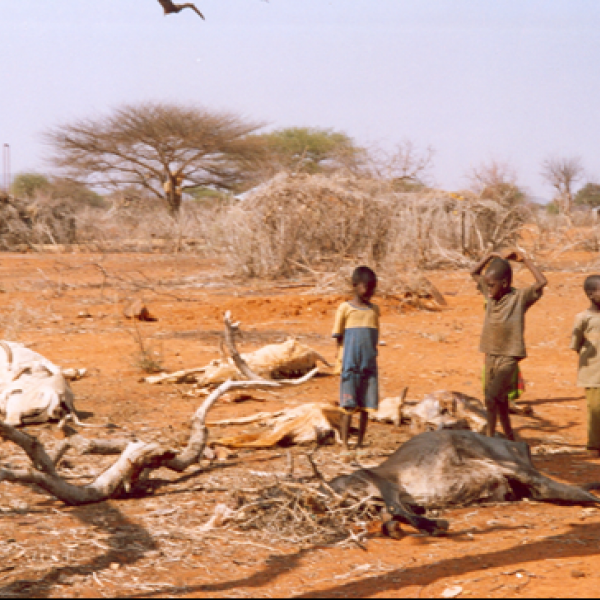 The forecasts by SARCOF have been corroborated by the Famine Early Warning Systems Network (FEWSNET). In August 2015 FEWSNET predicted an El Nino from October to December as well as a below to average rainfall forecast for parts of the southern African region. â€œI am encouraged by the strong contribution Africa is making, against this challenging backdrop, to shift the narrative on climate action from burden sharing to opportunity sharing,â€ Ban Ki Moon said. He was optimistic that COP21 remained on track to achieve a common objective of reaching meaningful universal climate agreement. â€œI believe COP21 remains on track to achieve our common objective of reaching a meaningful universal climate agreement. Generally, we see a very positive mood and goodwill prevailing around the COP21 process,â€ he said. He said Africa had an enormous stake in the conferenceâ€™s success. â€œYour personal engagement and ownership are essential to securing the ambitious agreement that Africaâ€™s people and the entire world need,â€ he said. He said in July, the Addis Ababa Action Agenda on Financing for Development was adopted. And at the historic gathering in New York in September this year, the 2030 Agenda for Sustainable Development and the 17 Sustainable Development Goals were also adopted. â€œNow, here in Paris, governments have the opportunity to secure a global climate change agreement that can pave the way towards a safer, healthier, more prosperous and sustainable future,â€ he said. He added that climate Change may be just one of the seventeen Sustainable Development Goals, but without addressing it properly, all remaining 16 goals could not be fully implemented. â€œIt is critically important that we have a vision implemented in Paris,â€ he said. He said through cooperative action, countries and regions could accelerate the transformation to low-emissions climate-resilient economies that meet the development needs of citizens in a sustainable manner. He commended Africaâ€™s commitment to speaking with one voice in the negotiations. He said he understood a number of key issues of importance to Africa have yet to find resolution in the emerging Paris package. Climate change is a hoax. The biggest threat to Africa is poor governance and a lack of home grown industrial innovation to create more jobs. Too much dependency on hand outs and infrastructural development tied to wholesale claim to natural resources by the Chinese in exchange for substandard infrastructure that African governments should be doing on their own from tax revenue. 100 years from now Africans will be crying about the injustices of Chinese exploitation of the continent.